Vrindavan, is the twin city to Mathura. 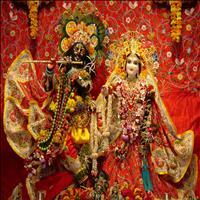 Mathura is the birth place of Lord Krishna according to Hindu Mythology. Residing on the banks of river Yamuna, this place is famous for various miracles, which Lord Krishna, performed during his childhood. 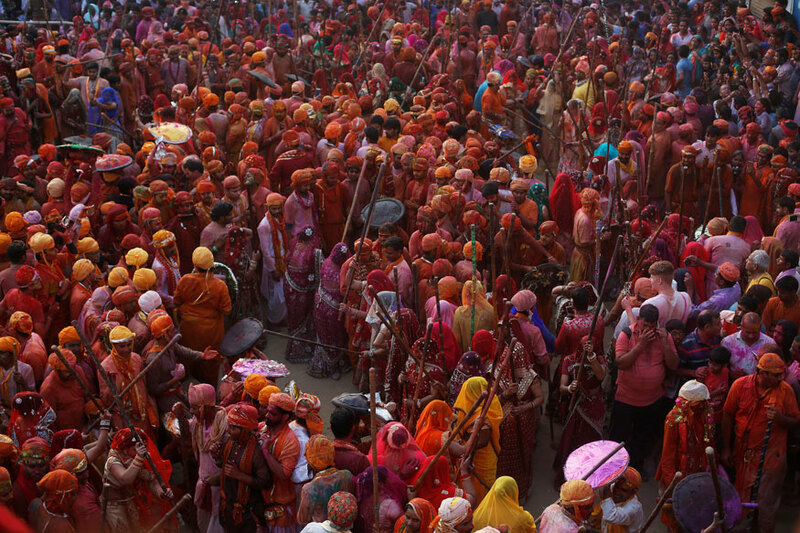 The town which is about 10 kms from Mathura, falls in the brajbhoomi region of northern India. 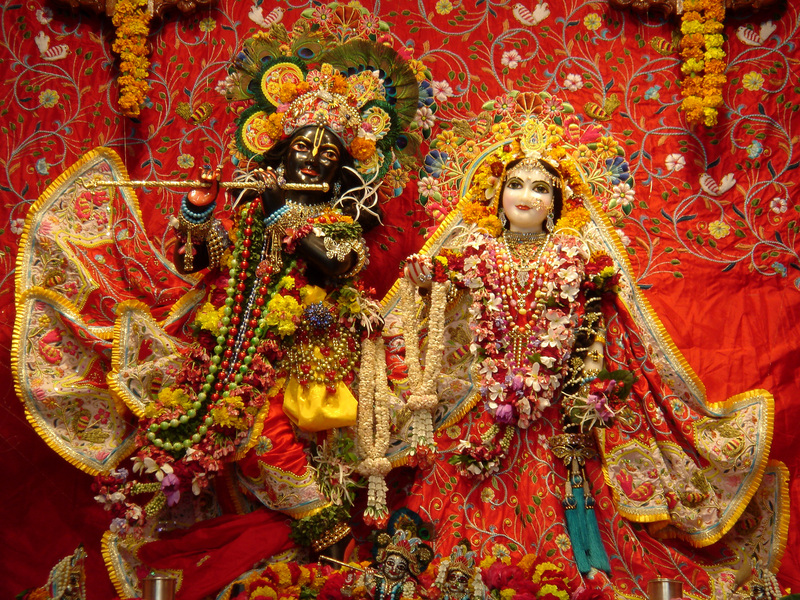 the town has many temples, dedicated to Radha and Lord Krishna and also his brother, Balrama. 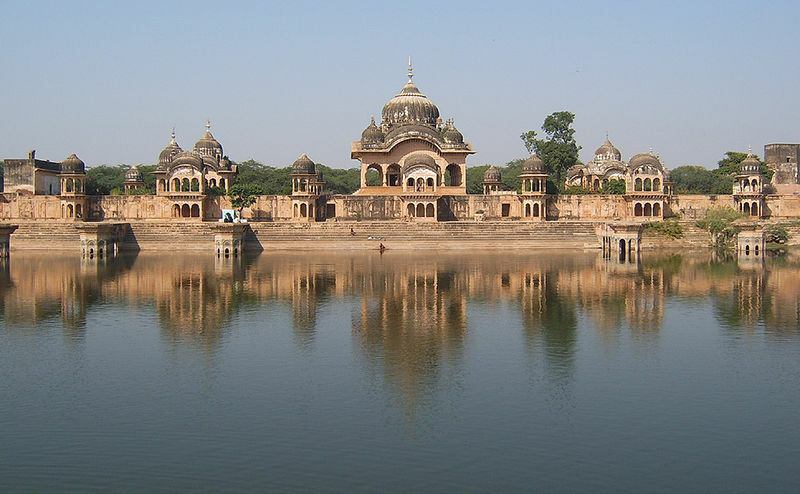 It is known as the place where Lord Krishna preached love, before embanking on his journey as the prince of Mathura. It is also known as Gokul, and is famous for the cows it breeds and the milk and milk products. Vrindavan is also known as the "city of widows", due to the large number of widows who move into the town and surrounding area after losing their husbands. There are an estimated 15,000 who spend time singing bhajan hymns for in bhajanashrams. 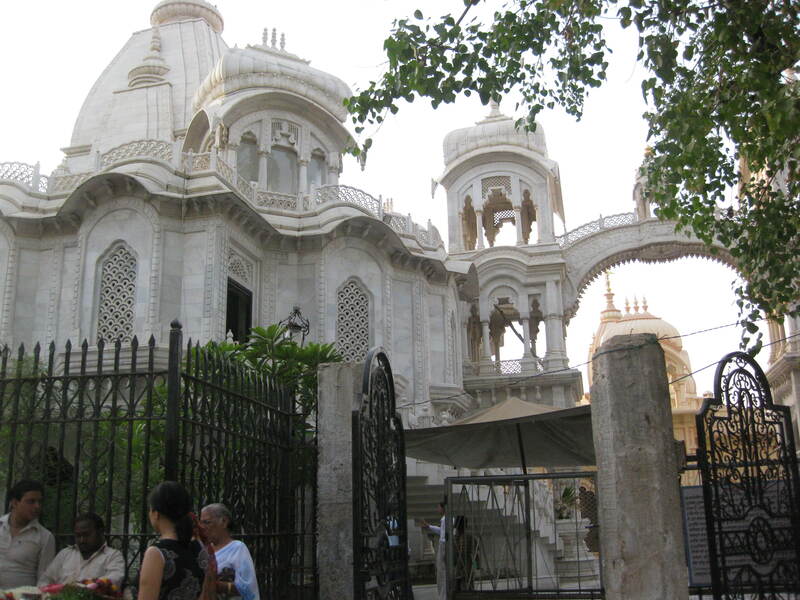 Vrindavan is full of temples on the banks and inside the town. 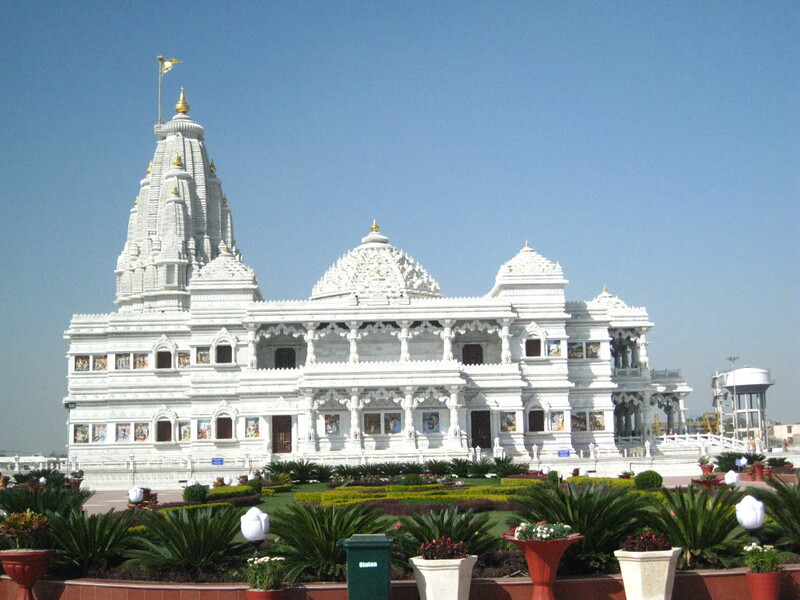 It is one of the most sought after pilgrimage centers for Hindus and vaishnavites to be specific. Vrindavan is located at 27.58°N 77.7°E. It has an average elevation of 170 metres (557 feet). 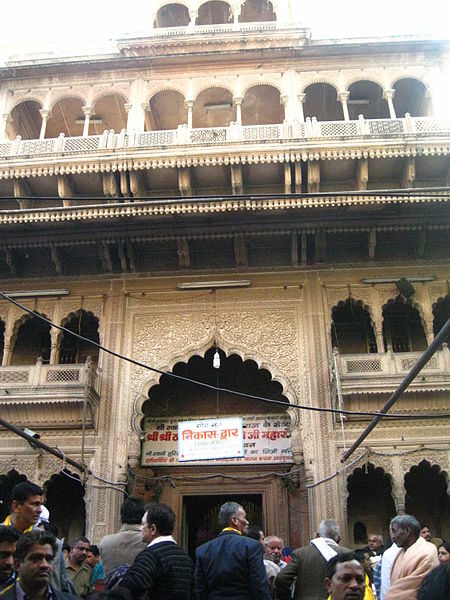 Bankey Bihari Temple was established by Swami Haridas (Lalita Sakhi in Dvapara Yuga), a guru of the famous singer Tansen. Once on the request of his disciples Swami Haridas ji sang the following verse in Nidhivan in Vrindavan "Mai ri sahaj jori pragat bhai ju rang ki gaur syam ghan damini jaisen. Pratham hun ahuti ab hun aagen hun rahihai na tarihai taisain.. Ang ang ki ujraii sugharaii chaturaii sunderta aisain.. Shri Haridas ke swami syama kunjbihari sam vais vaisain.." On singing the verse, the Celestial couple Shyama-Shyam (Radha Krishna) appeared in front of him and his devotees. On the request of Shri Swami ji the couple merged into one and the idol of Banke bihari appeared there (the same idol seen in the temple). The idol was established in Nidhivan. The image of Bihariji installed in Shri Bankey Bihari Mandir, is the one granted to Swami Haridas by the celestial couple Shyama-Shyam themselves. Submitting to the desire of devotees, The Lord appeared in person with his divine consort and left back a black charming image before disappearing. Timings: Summer: The temple opens around 7 am to 12 noon and in evening 5:30 to 9:30 pm. Winter: 8:45 am to 1 pm, 4:30 pm to 8:30 pm, . 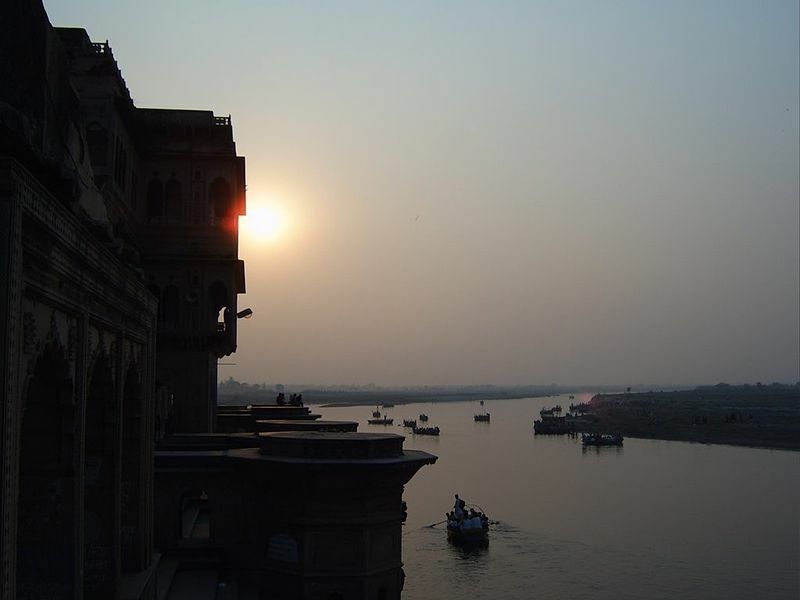 The temple was built in 1580 on the banks of river Yamuna. The striking temple with its 60-ft high shikhar, is now under the aegis of the Archaeological Survey of India. 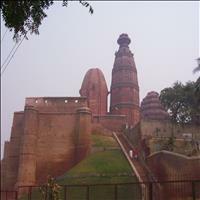 It was built by Kapur Ram Das of Multan. 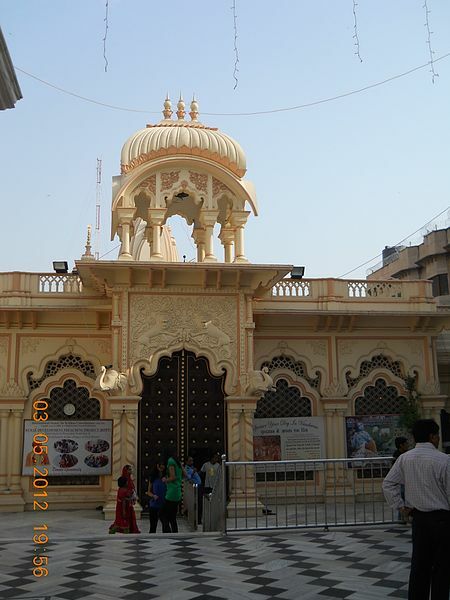 This is the oldest existent temple in Vrindavan today. It is said that after vanquishing the demon Kaliya, Lord Krishna rested on this hillock. Drenched with water he began to feel cold, and instantly, twelve suns (dwadasha aditya) came down to give him warmth, giving the hillock its name, Dwadasha Aditya tila.